Why should you take the Comics Experience Lettering & Production course? The Comics Experience Comic Book Lettering & Production course is taught by professional letterer Dave Sharpe, who has been in the lettering business for twenty years. Since then, Dave continues to letter for Marvel on a regular basis, in addition to working with many small publishers as well. 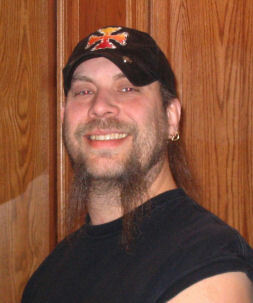 He is, without a doubt, one of the most well respected, talented, and professional letterers in the comics business. Here are four additional reasons you should sign up for this class now! Save money on your projects - If you're looking at self-publishing your own comics, learning to letter them yourself can save you hundreds of dollars per issue. This class will pay for itself in short order. Plus, this class also prepares you for the production work -- placing logos, UPCs, combining the color art with the lettering -- and that saves you even more money. Bad lettering kills - If we've heard this once from Editors, we've heard it a hundred times, because it's true. Nothing will kill your story and beautiful art faster in the eyes of an Editor or a reader than amateurish lettering. Unfortunately, without appropriate training, you may not even recognize what the issues are. Your lettering needs to be up to a professional level and this class will show you how to make that happen, whether you do it yourself or hire someone else. It's FUN! - At Comics Experience, we never forget that no matter how serious you are about the profession, creating comics should be fun! Dave and Andy are two of the nicest folks in comics, and the teaching environment is encouraging while also being honest. Plus, you'll meet classmates that may well become fellow comic creator friends! The class will be taught live, online for six weeks, meeting for two hours each Monday night. Classes will be recorded for later viewing if you can't make the live meeting. And you'll have access to a dedicated class forum for interacting with your classmates and sharing/critiquing each other's work all week long! For more information or to sign up for the class using Paypal, visit the Comics Experience Courses page! At the next Comics Experience Creators Workshop live session, Comics Experience founder Andy Schmidt will discuss the art of pitching, providing practical tips and solid advice gleaned from his years of experience as an editor at Marvel Comics and IDW Publishing. These sessions take place every month, giving members real-world knowledge that will help them succeed in their comics career. In last week’s live session, renowned colorist Chris Sotomayor led a discussion on making the most of comic book conventions. Sotomayor shared a ton of information with Comics Experience members, and spent two hours answering their questions about nearly every aspect of comic book conventions. A few of the topics he touched on were how to plan for a convention, what to bring with you, how to look and who to talk to. Sotomayor noted that conventions mean a lot of different things to different people. But no matter what your goals are, it helps to be organized. He recommended going in with a plan of attack. Have a map of the show floor so you don’t get lost in the shuffle. Know which panels you want to attend and which editors will be there. And follow the publishers’ guidelines about portfolio and script reviews. Sotomayor recommended having all your physical materials in order before attending the con. He noted that for artists, it’s good to have a physical portfolio. However, he said, this does not necessarily need to be a binder. Instead, many artists are displaying their work on tablets such as the iPad, making it easier for editors and artists to scroll through the portfolio, isolating certain aspects of the artwork. “It’s a handy way to have all of your materials with you all at once,” Sotomayor said. For writers, Sotomayor said it can be helpful to bring a published comic, to show editors that you’re serious about your craft, and have worked on putting a project together. He said these comics aren’t often read on the convention floor, but are sometimes read after hours. “You’d be surprised how many comics professionals unwind by reading a couple ofcomic books before they go to bed,” he said. Whether you’re an artist or a writer, Sotomayor said to make sure your leave-behinds are in a portable format, and are easy to carry back to the office. He said that oversized materials will often be scrutinized and then discarded. And, finally, have a nice business card, that stands out and will help an editor remember your conversation. When meeting editors and colleagues, Sotomayor said, it’s important to be professional and presentable. However, he said, this doesn’t mean you need to get dressed up. A nice T-shirt and jeans is fine, as is a polo shirt. He also noted that dyed hair and piercings will not deter you from finding work in comics. Sotomayor stressed that as important as it is to track down editors and talent scouts, it’s just as important to get feedback from other artists and writers, including both established professionals and fellow newcomers. Sotomayor also recommended that writers pay attention to artists who are trying to break in, but do not yet have a booth in artist’s alley. If you see someone in a portfolio line whose work looks good, approach them after their critique, and give them your business card. “Giving a break to somebody trying to break in is a great thing to do,” he said. This is just a small portion of the advice and guidance Sotomayor provided in this fantastic session. A recording of the entire discussion will be available to Workshop members for a few weeks, so it's not too late to check out the full session. And there’s still plenty of time to sign up before next month’s session on pitching. We hope to see you there. It's been a great month for Comics Experience alumni and Workshop members -- from a Harvey Award nomination to free online comics, our community of creators has been on the move! Congratulations to Nick Spencer (Comics Experience Writing alum) who received a 2011 Harvey Award nomination in the category of "Most Promising New Talent," for his work on his hit title from Image, Morning Glories. The Harvey Awards recognize outstanding work in comics and sequential art, and are the only industry awards both nominated and selected by fellow comic book professionals. Brandon Seifert (Comics Experience Creators Workshop member) had his new book from Image, Witch Doctor, appear as a flipbook in the back of Walking Dead #85, and followed that up with the release of the #1 issue on June 29th. Described as House M.D. meets Fringe, the book looks to be a runaway hit! Witch Doctor is the first original title from Robert Kirkman’s new Image imprint, Skybound, which will also be launching a new title, Thief of Thieves, written by Nick Spencer! A new anthology comic book, The December Project, was just released recently, and it was created by a group of Comics Experience Writing alums! 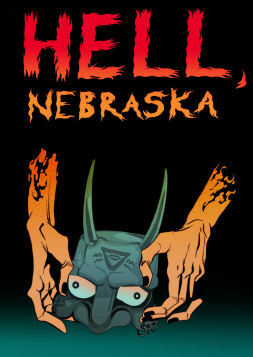 The book features stories written by Marta Tanrikulu, Chris Lewis, Monika Smyczek, and Elizabeth Amber Love, plus three of the stories were lettered by Comics Experience Workshop member, E.T. Dollman. The book contains a wide variety of stories, from science fiction to magic, and from trippy to heart-wrenching. 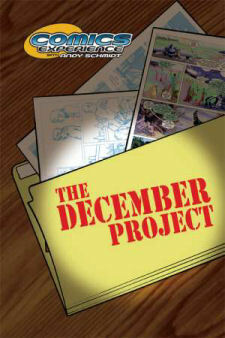 Pick up your copy of The December Project via IndyPlanet right here. 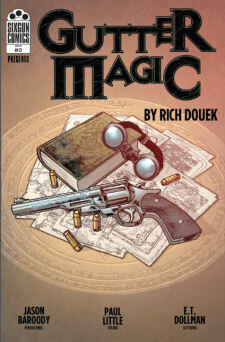 Comics Experience Writing alum Rich Douek, is offering a free, online preview story from his forthcoming book, Gutter Magic. Rich collaborated on the preview with Jason Baroody, Paul Little and E.T. Dollman, and the zero issue, coming this Fall, will feature art by Renae De Liz (Womanthology, Servant of the Bones), Craig S. Yeung (Runaways, X-Factor) and JC Grande (Johnny Monster, Necessary Evil). Download a PDF of the preview story at SixGunComics.com right here. Congrats to all the members of the Comics Experience community, and keep making comics! If you have Comics Experience-related alumni news, drop me a note! 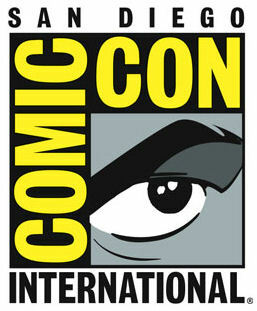 San Diego Comic-Con 2011 (July 21-24) is less than two weeks away, and if you're interested in making comics or breaking into the industry, then mark your calendar for three Comics Experience panels focused on building your art portfolio, pitching, and breaking (and staying) "in!" Comics Experience founder, Andy Schmidt will be moderating all three panels, featuring some fantastic special guests including: artist Reilly Brown (Incredible Hercules), artist Zander Cannon (Top 10), writer Mike Costa (G.I. Joe: Cobra), and writer John Layman (Chew). Check out the schedule and full description of each panel below. It's well known that breaking into comics as a creator -- be it writer or artist or colorist -- is not easy. Learn how it's done from Andy Schmidt (X-Men, Five Days to Die, Comics Experience founder), who's broken in as an editor, a writer, and a teacher. Not enough? He's also going to talk about how to stay in comics once you catch that first break -- and you'll hear from writer Mike Costa (G.I. Joe: Cobra) and artist Zander Cannon (Top 10) for their tips, too! You're at Comic-Con and you're surrounded by editors, artists, writers, and producers -- any of whom could represent a job for you as an artist. Former Marvel and IDW Editor Andy Schmidt (X-Men, Five Days to Die, Comics Experience founder), artist Reilly Brown (Incredible Hercules), and artist Zander Cannon (Top 10) discuss what to include in a portfolio, what to leave out, and how to conduct yourself to make sure your portfolio and your presentation shine. Andy Schmidt (Comics Experience founder, former Marvel and IDW Editor) and panelists John Layman (Chew) and Mike Costa (G.I. Joe: Cobra) reveal the keys to creating the perfect pitch for a comics publisher: what must you have, what to leave out, and how to conduct yourself with interviews and correspondence. This might be the most valuable panel you ever attend!